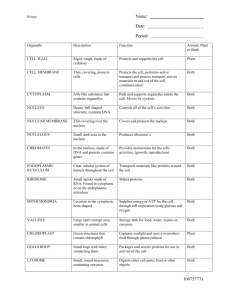 matches the structure/function in the left hand column. 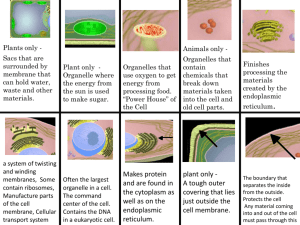 plant cells, animal cells or both. 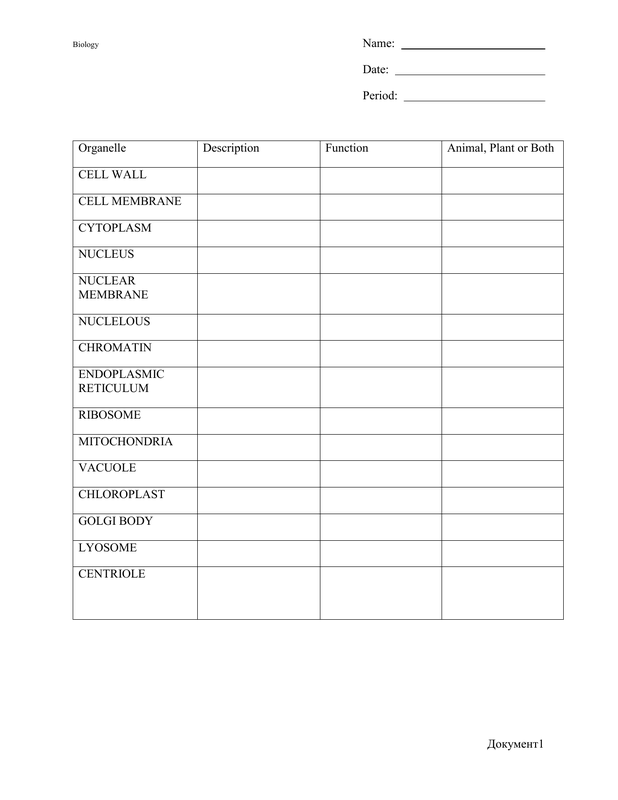 Are bacteria PROKARYOTES or EUKARYOTES? 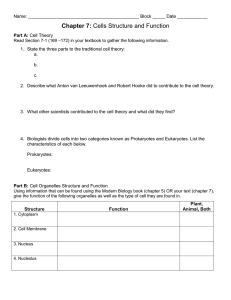 Are fungi, plants, and animals PROKARYOTES or EUKARYOTES? 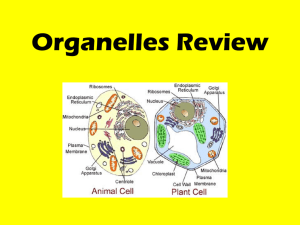 What are two organelles that all cells (prokaryotes AND eukaryotes) have? All ______________________ things are composed of _________________. 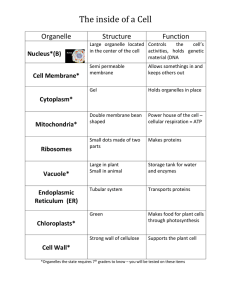 ____________ are the basic unit of structure and _______________ in living things. 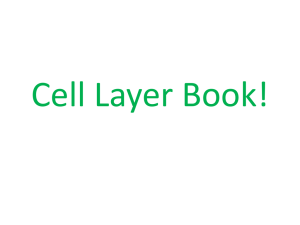 New cells are created from _______________________ _______________. In a far away city called Grant City, the main export and production product is the steel widget. built by the carpenter's union (whose headquarters are in town hall). passports) are allowed outside the city. 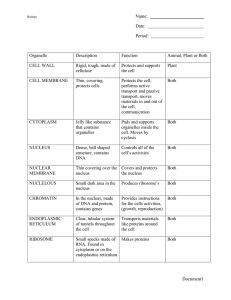 Match the parts of the city (underlined) with the parts of the cell.